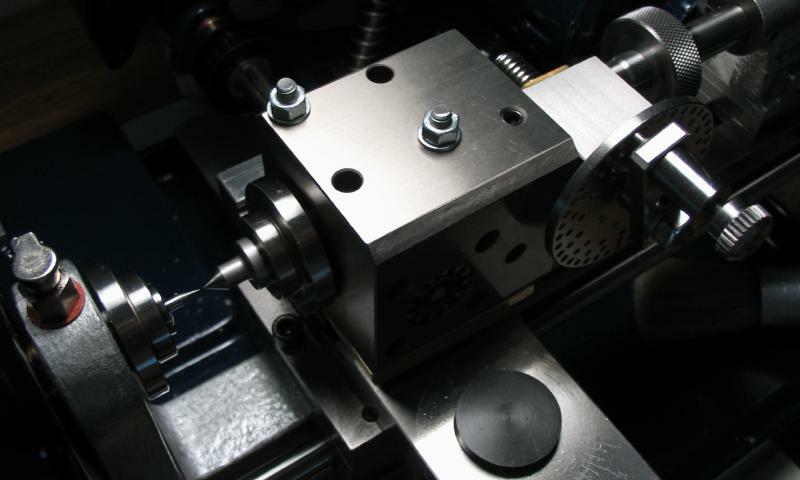 The position of the spindle in the dividing head prevents it from being set on lathe center, regardless of whether mounted on the vertical slide (cannot go low enough) or directly mounted on the cross slide (too low). 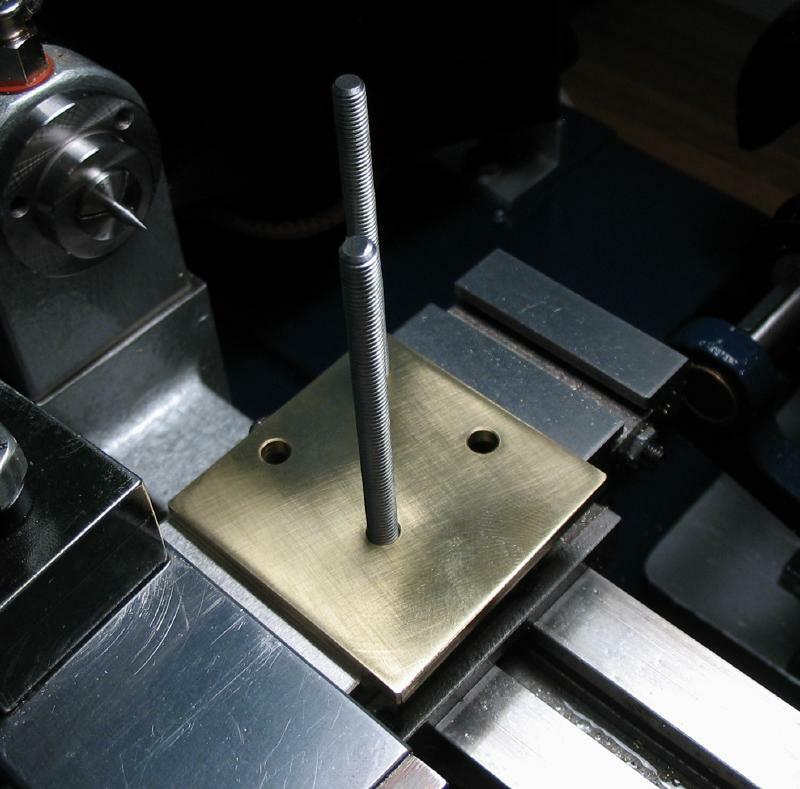 Instead, a riser or spacer block can be made to bring the height of the dividing head up to lathe center. 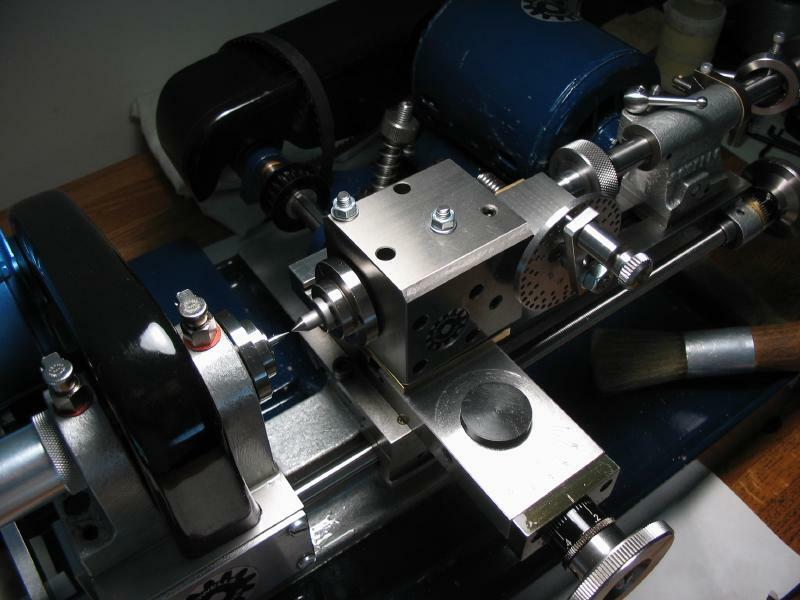 The head has two mounting faces, and the exact height may differ from lathe to lathe, which is why one is not available for purchase. In my case, a riser of ~3.6 or ~6.6mm will work. 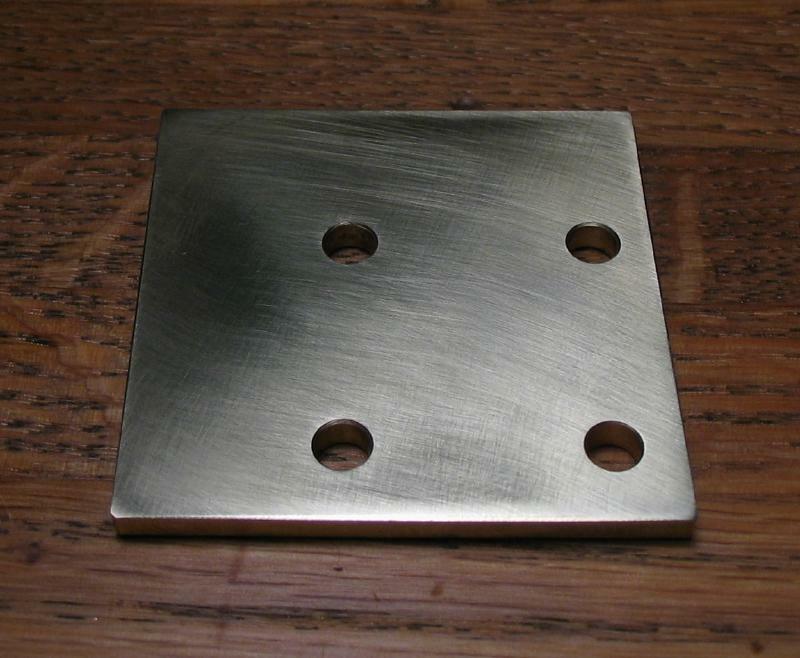 My reason for making this is to allow easy positioning of the spindle to small radii from center. 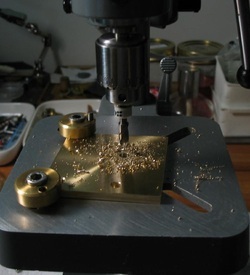 Drilling a circle of small holes on a very small radius can be difficult to lay out with a compass, by putting the dividing head spindle onto lathe center, the cross slide can be used to measure out and position the drilling positions. 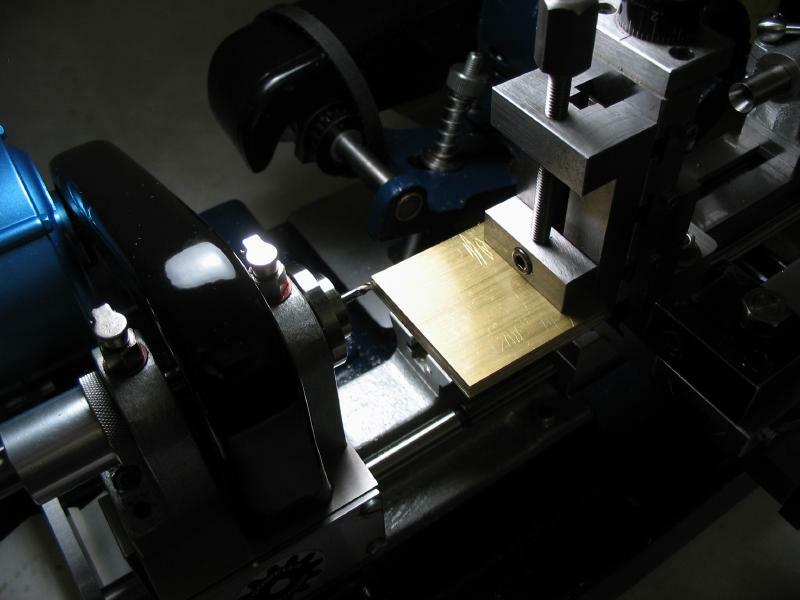 To start, a 2" by 2" piece of 1/4" brass plate (type 360) was milled on each end to make square. 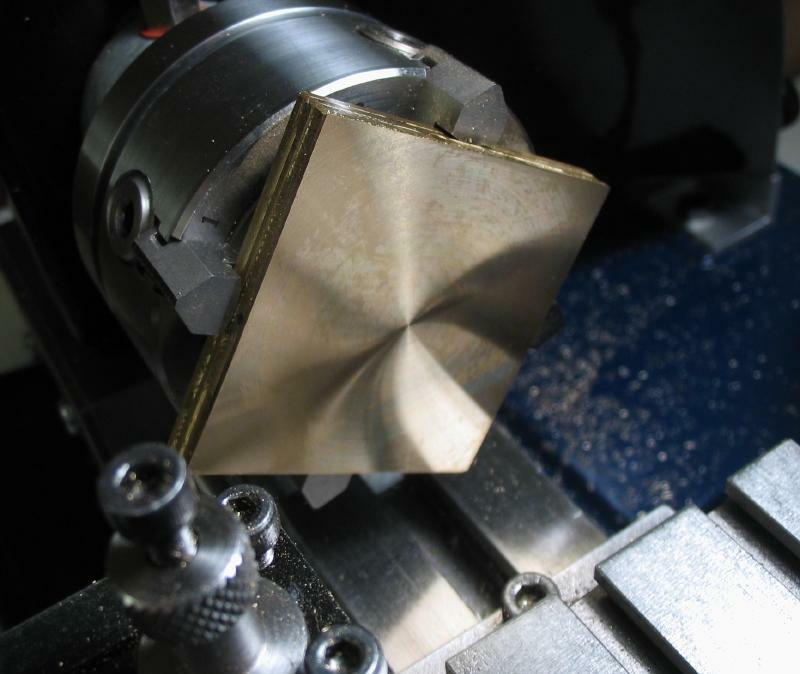 The plate was then faced using the 4-jaw chuck and reduced to approximately the final thickness. 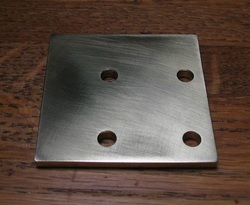 The hole positions are laid out and drilled. 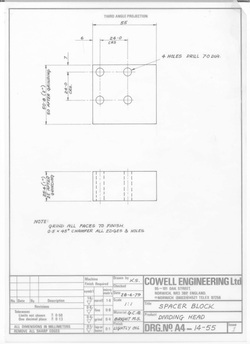 The positions were taken from a drawing provided by Cowells that they use for making a riser for the dividing head for use on the vertical mill. The holes are drilled in a sequence of increasing diameters to make the process a bit easier. 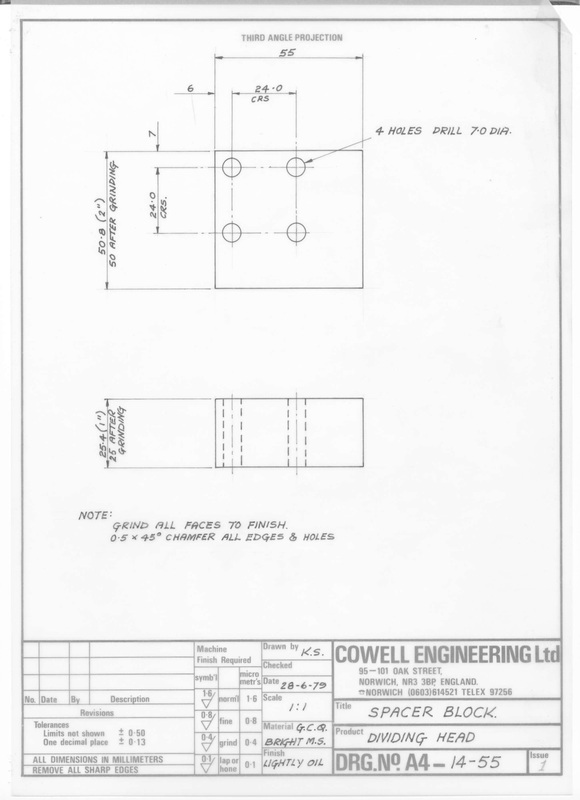 The final thickness is formed on emery paper.